Today we are staying on the Isle of Wight, one of the famous homes of the Terriers, to see how four engines became a common feature of their railways. 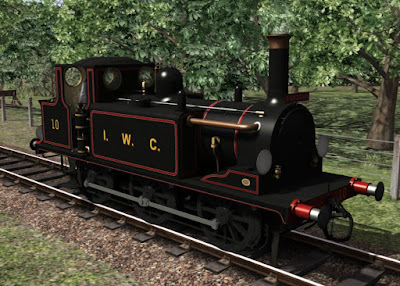 In 1899 the Isle of Wight Central Railway purchased its first A1 Terrier from the LB&SCR, No 75 "Blackwell". Numbered as No 9 it ran until withdrawal in 1927. In 1900 they purchased another, No 69 "Peckham" and as No. 10 this ran until withdrawal in 1949. 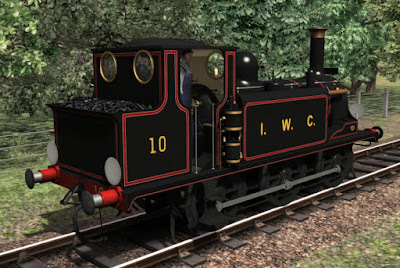 In 1878 A1 Terrier No 40 "Brighton" was awarded a Gold Medal at the Paris Exhibition and it was this engine that also joined the IWCR in 1902, numbered No 11. She later became Southern Railways "Newport" and after withdrawal in 1963 became another member of the preserved Terriers and to this day she is still on the Isle of Wight. 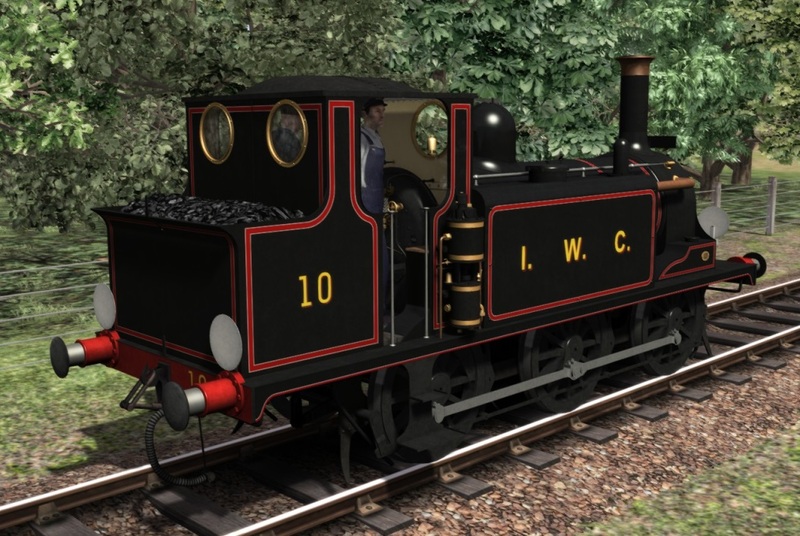 A fourth Terrier 84 "Crowborough" became IWCR No 12 in 1903 and also carried the livery shown below until becoming part of the Southern Railway as W12 "Ventnor". 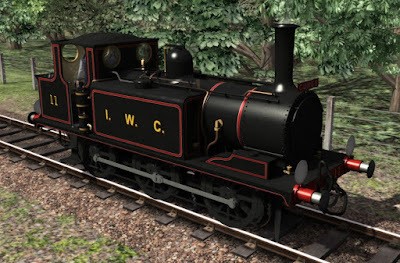 This engine has an extra feature which is its destination plate mounted on the top of the smokebox. 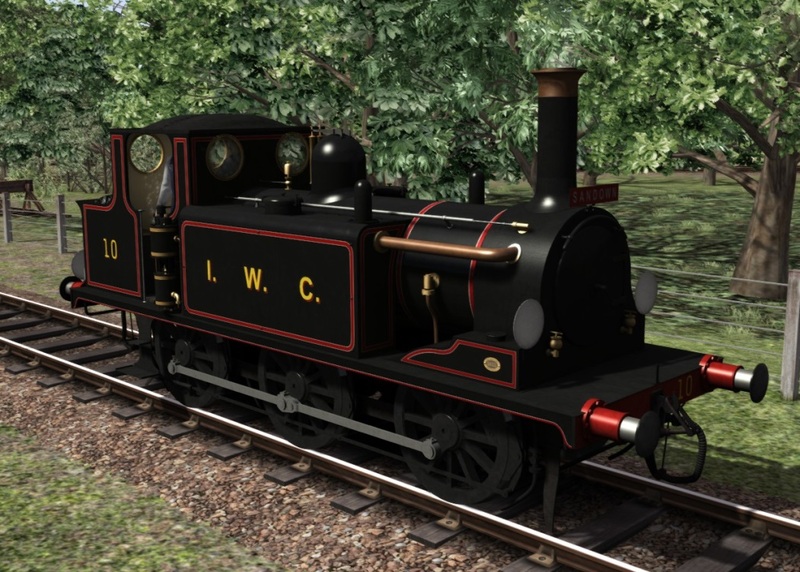 This can cycle through a dozen different Isle of Wight destinations and you can also add any name you wish using the scenario editor. No. 11 and No. 12 were both rebuilt, in 1918 and 1916 respectively, into the A1X style.